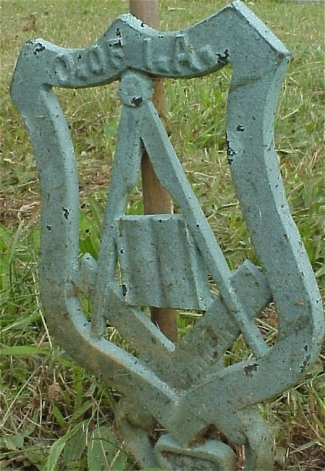 This flagholder includes symbolism similar to the Jr. Order of United American Mechanics and its sibling organizations. The compass and square were borrowed by the JOUAM from the Masons but the organizations are not Masonically linked. See the JOUAM and sibling pages for details of the ideology. The shield shape here is like the others and the presence of the Bible within fits with the symbols used by that group of aniti-immigration, isolationist organizations. This may even be a splinter group of one of these as schisms are common in all the fraternal organizations and secret societies. This was found in western New Jersey or eastern Pennsylvania where flagholders of the related orgainzations, most of which are extinct, are common. I would even guess that the A. stands for American and the I. might be Independent or something like that. Any help you can give me here will be appreciated. I can not find a reference in any of the resurces I have been using. My Grandfather was a member of the organization using this symbol pictured on your website as a flagholder from a cemetery. He was a member of the Heilman Council No. 277 in Philadelphia, PA. I have a letter written to my Father in response to his request for some sort of death benefit. Unfortunately, like you , I have no idea what this organization was nor what the initials signify. Have you found out anything else about this particular organization?. Subj: I. of I. 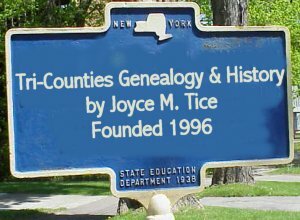 A.
Hi Joyce... the marker is the Order of Independent Americans. They are the party most supportive of Ron Paul for president. Their creed is, if necessary, to overthrow those in office to preserve the Constitution of the United States and the 50 State Republic. Some would find them quite anti-federal government. ...It seems that no matter what I'm researching, I find myself on one of your pages. Keep up the Great work on this Great site.